Engage with and learn hands-on from IT industry professionals, using real-world security and forensic tools and tactics to identify and thwart cybersecurity threats, visit top companies to experience innovative security teams in action, and interact directly with entrepreneurs and company leaders of enterprises actively seeking IT talent. 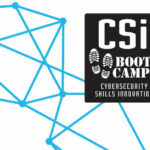 At CSi Boot Camps, Information Technology/Security Technology students from Minnesota State institutions and the University of Minnesota engage with professionals to develop innovative skills in cyber defense, vulnerability analysis and testing, security operations, forensics and application security. CSi Boot-Campers also visit companies on employer-hosted field trips, for networking and career success guidance. The last day includes a comprehensive assessment to validate the week-long development of cybersecurity skills. Students who participate in Minnesota State Collegiate Cyber Defense Challenge (CCDC) will have priority access to CSi Bootcamp! The real world experience opened my eyes wider. It was an opportunity to talk to people in the field. IT is changing every day. With cloud technologies, security is changing every twenty minutes. I especially liked the hands-on presentations. The CliftonLarsonAllen (session) had a lab set up, where we practiced exploitation tests, using the actual tools we’ll use in the field. The instructor did a great job explaining whey they’re used and what you do with them. Recent graduate from Minneapolis Community and Technical College with an associate’s degree in computer forensics, and working for a company in Eden Prairie, Minnesota. I went into the boot camp expecting I was going to get contacts for future employment. I thought it would be a great opportunity to network. It was. All of the panelists, speakers, sponsors seemed passionate about actually helping people. The (CSi) Boot Camp is a great mechanism for us to recruit. It’s a great way to give back to the security community, and to help the academic community develop what industry needs.